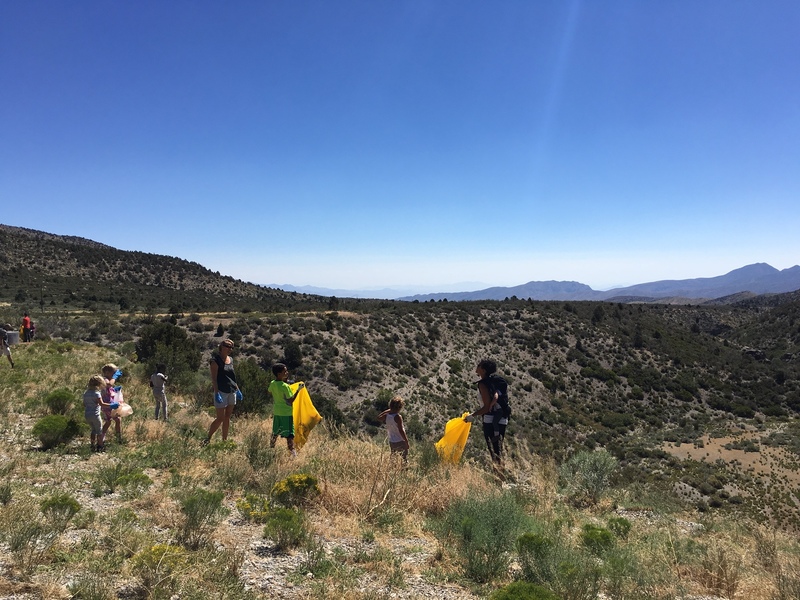 Warm Weather Volunteers help protect the Spring Mountains in all sorts of ways and help support this fragile ecosystem through service work and public support. Email volunteer@gomtcharleston.com to sign up! Enjoy hiking in a beautiful landscape while helping others learn about and protect the forest. 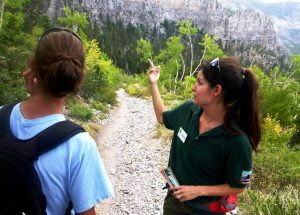 Trail Hosts develop a greater understanding of the mountain environment while providing essential trail information that helps keep trails safe for the public. Trail Hosts are encouraged to hike at least once a month, but many hike different trails each week. Training, first aid kit, radio, and additional items are provided to make hosting safe and educational. 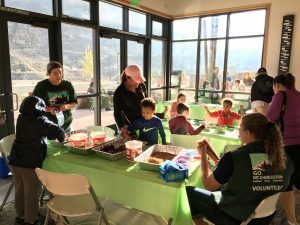 GO Mt Charleston programs often need a little help from volunteers, from staffing at an intepretive table, helping lead activities on Science Safaris, acting as a "tail" on our guided hikes, or many other opportunities thoughout the warm season. 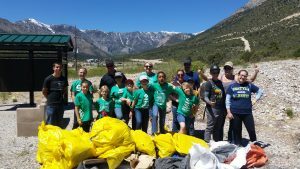 Whether you are an individual that wants to help keep the Spring Mountains healthy or a family, group, or business looking for a community service project, we would love the help! We can typically accomodate a cleanup Thursday through Monday, and we provide the tools. 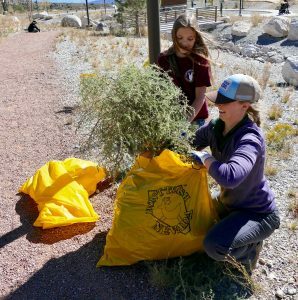 Each year, GO Mt Charleston hosts large-scale cleanups, invasive species removals, seed gathering, plantings, and more. Spring Cleaning occurs in May, and National Public Lands Day is in September, so please check the calendar for specific dates.